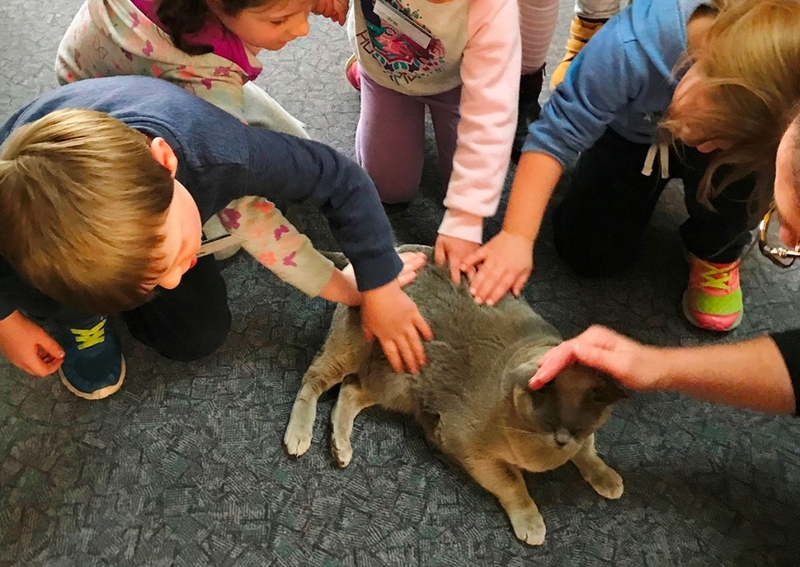 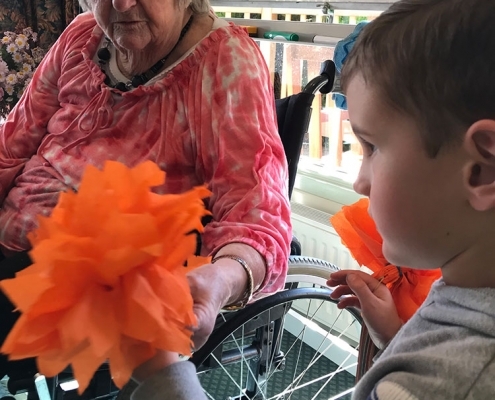 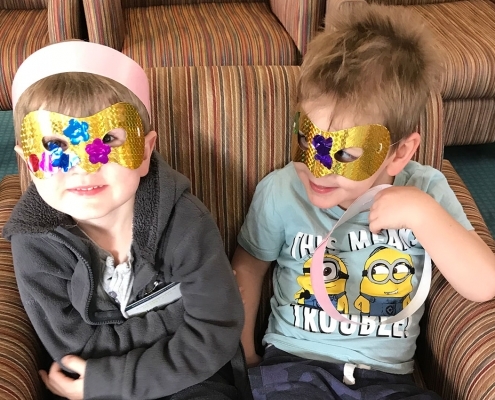 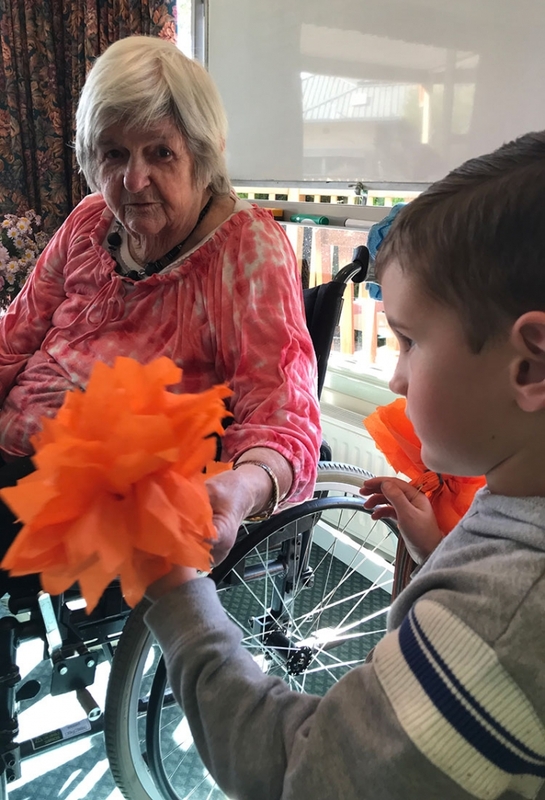 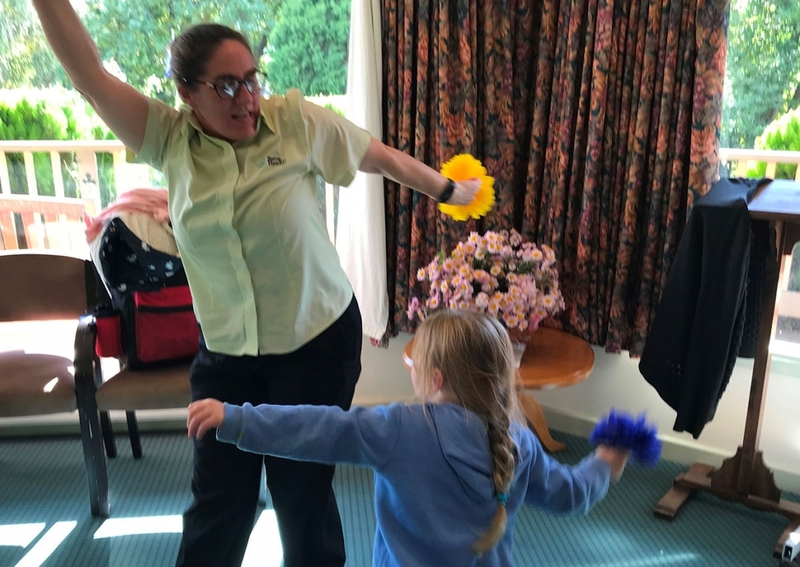 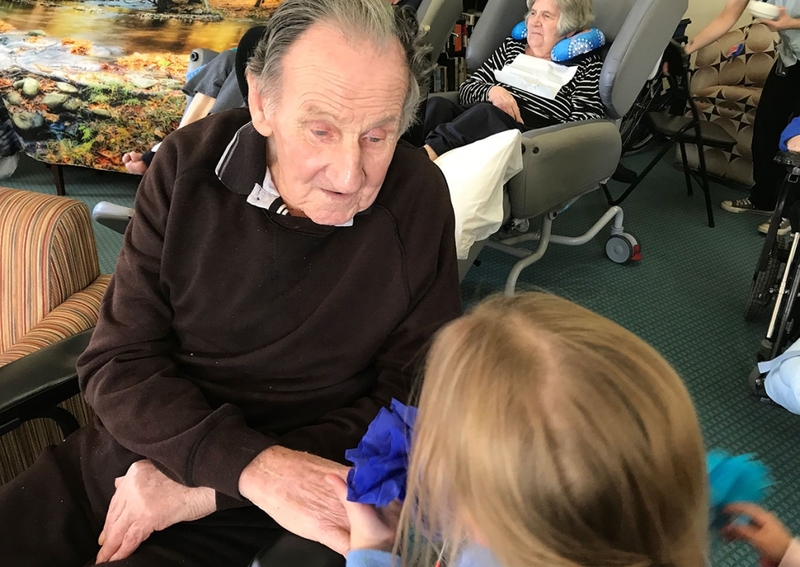 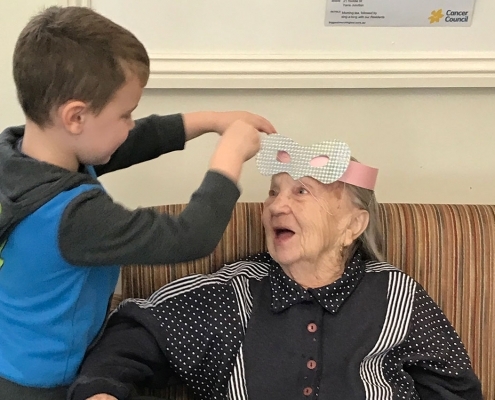 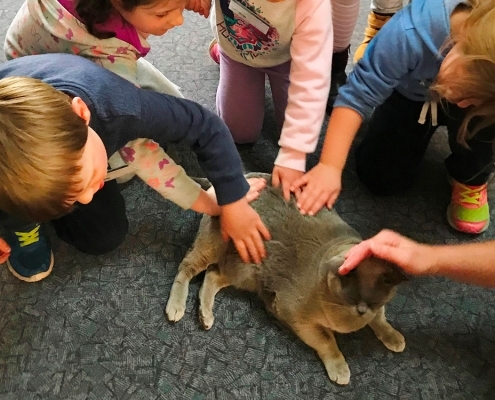 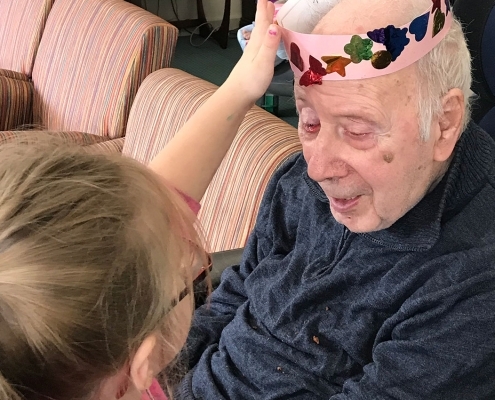 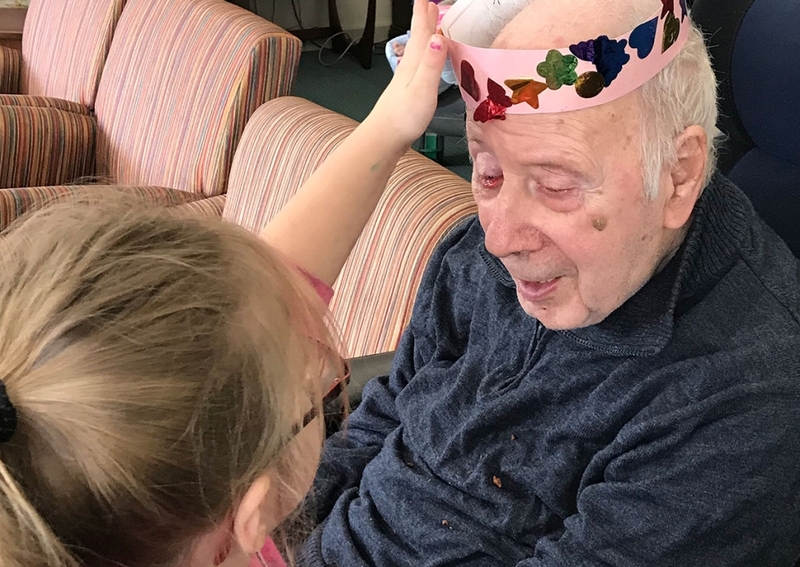 Something special happens when generations come together – the kinder room children at Yarra Junction have been enjoying fortnightly visits to Estia Health, where they love spending time with the residents and participating in some fun art and craft activities. 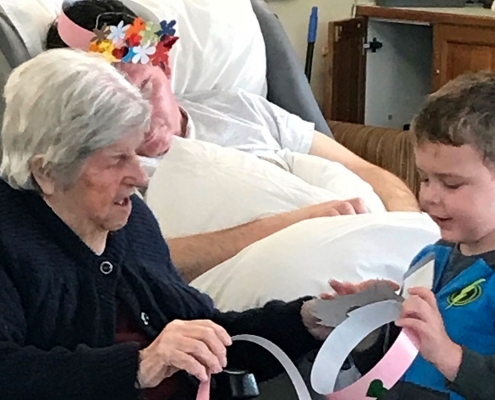 It’s an experience that assists the children to understand that people are different and have various abilities throughout their lives; sometimes this can cause the children to ask some difficult questions regarding physical and mental health, age and the reasons why people might live in a residential care facility. 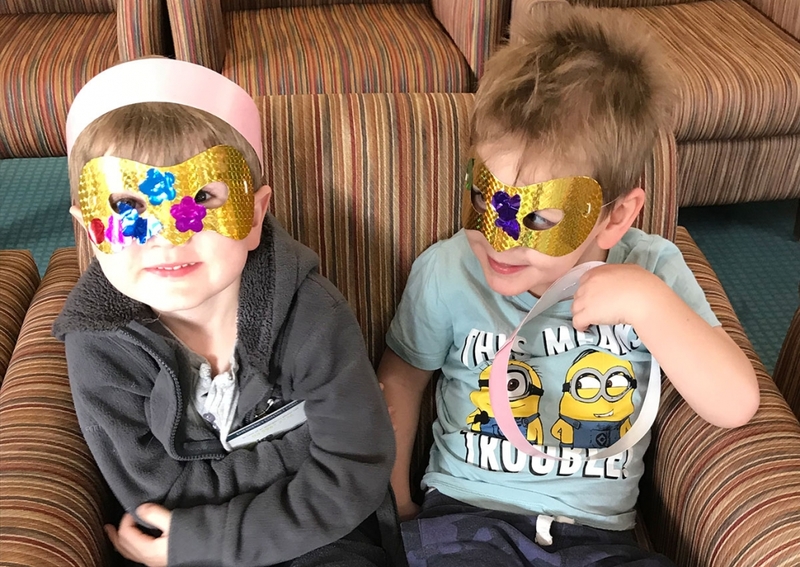 We answer these questions as honestly as we can, always taking into consideration the age of the child when doing so. 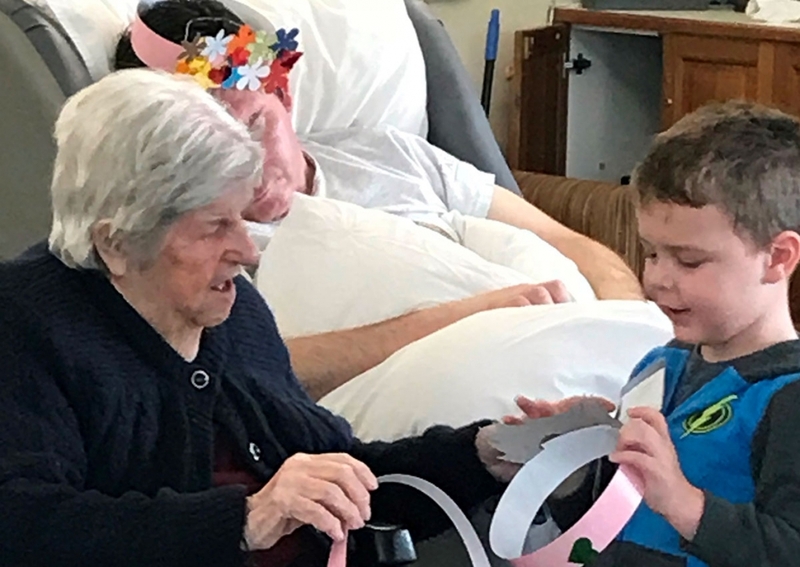 As a group, we have read books centring on friendships between people of different ages; “Lucas and Jack” by Ellie Royce and Andrew Mc Lean, as well as “Celia and Nonna” by Victoria Lane and Kayleen West; these stories provide the children with examples of positive relationships between children and older people, showing that despite their differences, they can form connections. 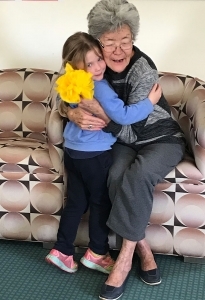 Some of the children are still quite shy in the new environment but others are very expressive and enjoy approaching residents and speaking to them about their own lives. 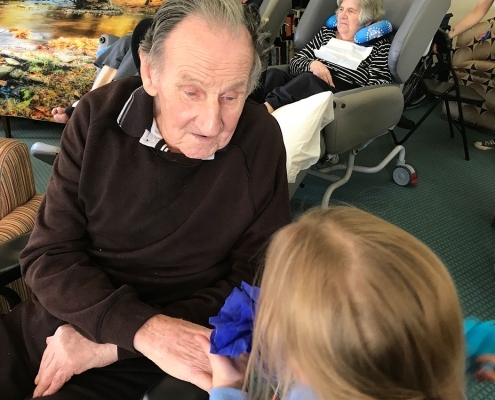 At times the residents are unable to hold a conversation for very long but do enjoy asking things such as “What footy team do you barrack for?”. 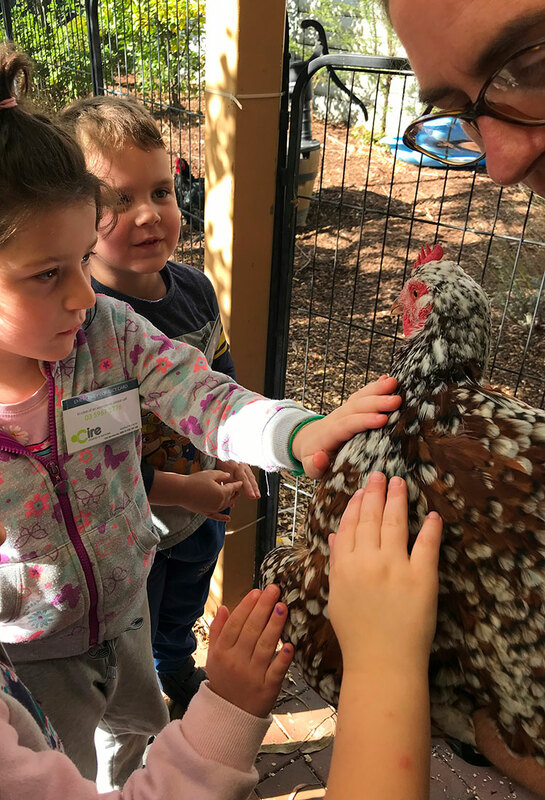 This can be a positive and comfortable opener and offers the children the opportunity to discuss themselves and their interests. 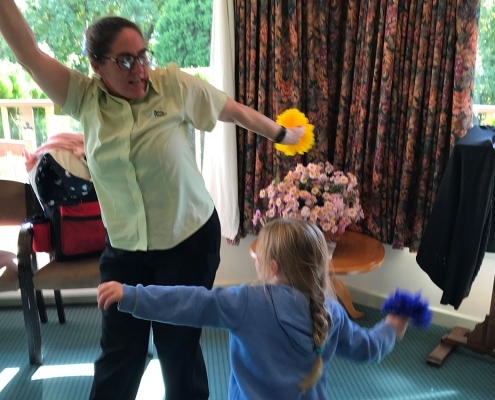 We love visiting the other areas of the nursing home too. 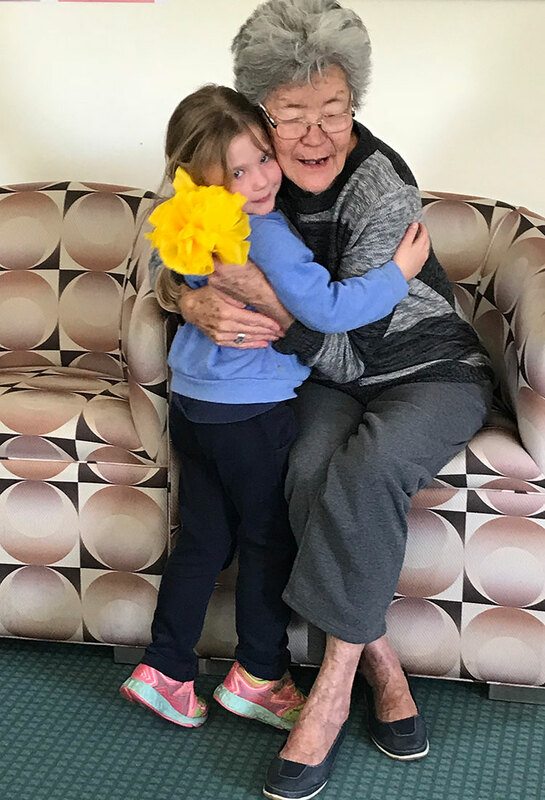 Outside you can find Marge and Tina the large chickens and Elle the cat snuggled up somewhere in the dementia ward or Gene’s two small dogs roaming about amongst the residents. 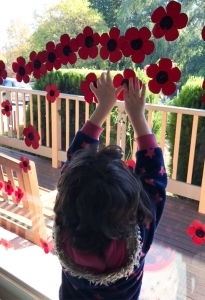 songs and discussing the war, in relevance to the children’s understanding. The children silently listened as “The Last Post” was played, watching as some of the residents stood with their right hand on their chest, and humming the tune. 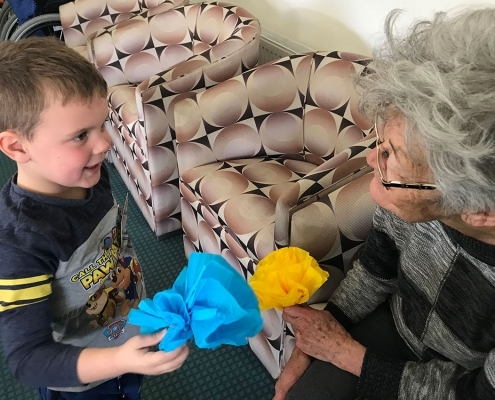 When we returned to the centre, we watched a video of a soldier playing the bugle and discussed why the song was still so important to the residents at Estia Health. 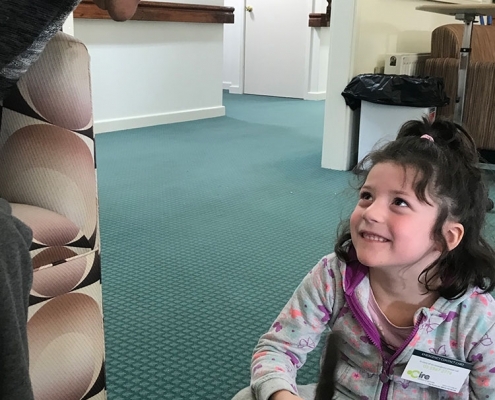 The children can’t wait to tell their families about the experiences that they have at Estia Health, showing the artwork and telling them about the wonderful people they have met. 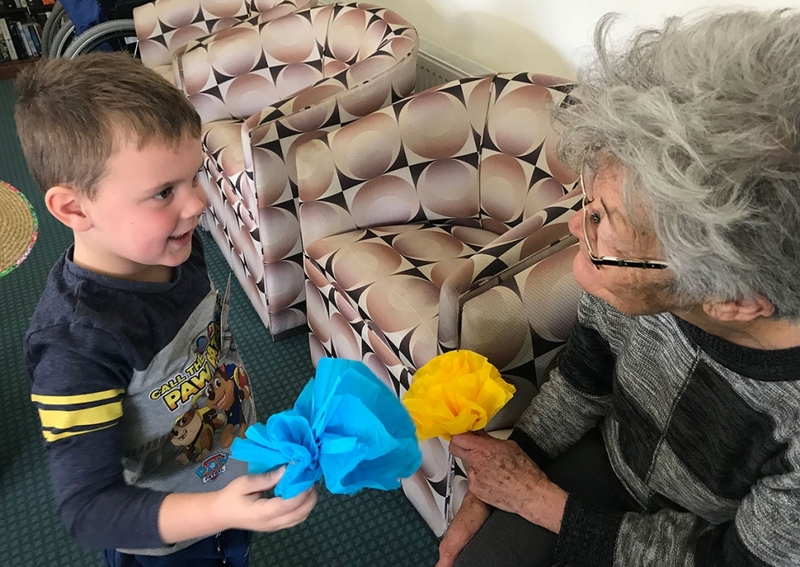 It is a wonderful opportunity for the children to develop their social skills and recognise that they have the right to belong to many different parts of the community. 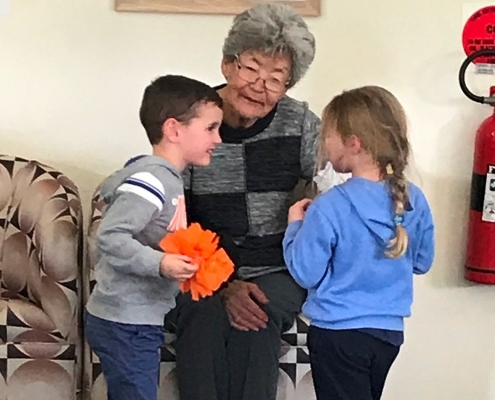 It is important that the children are offered as many opportunities as possible to explore their own sense of identity and is an experience life through the eyes of others with every visit. 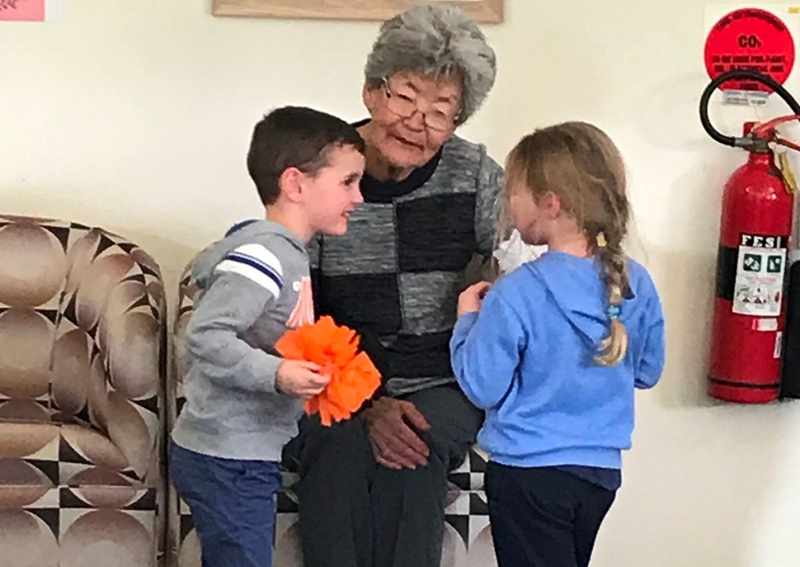 The relationships that are being formed and the conversations being had, are invaluable and teach all of us fundamental lessons in respect and acceptance of other people. 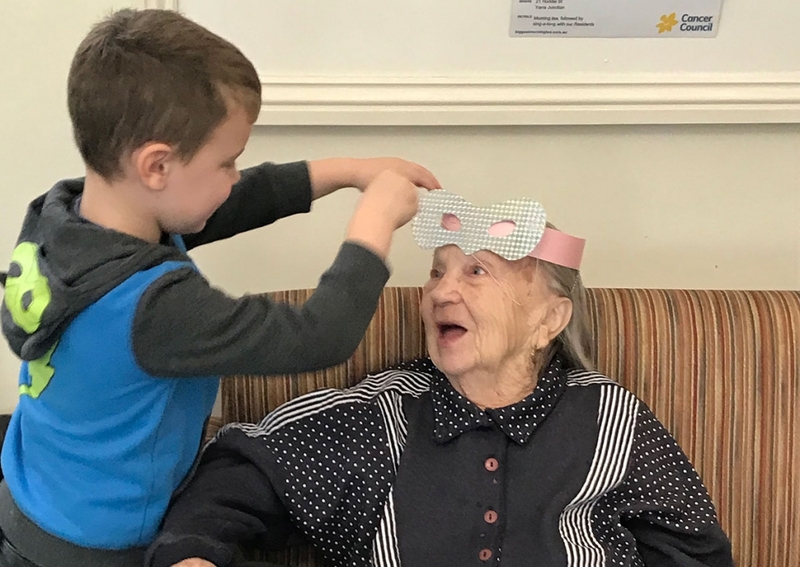 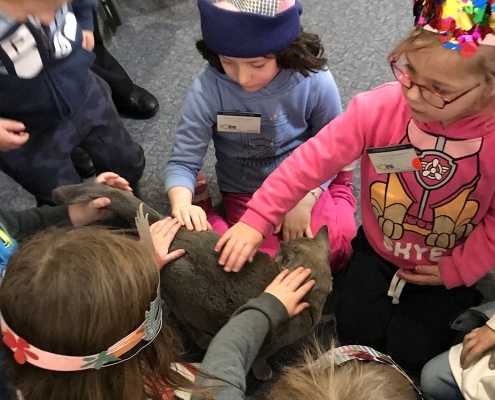 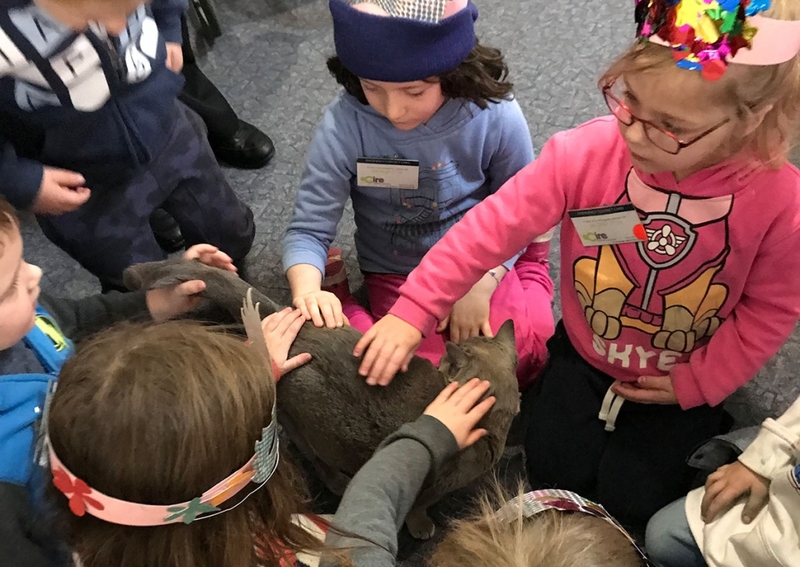 We are very proud of the way that the children have conducted themselves when visiting Estia Health and are excited about these relationships and experiences to grow as the year continues. We would like to thank Estia Health in Yarra Junction for their ongoing support in accommodating this program. 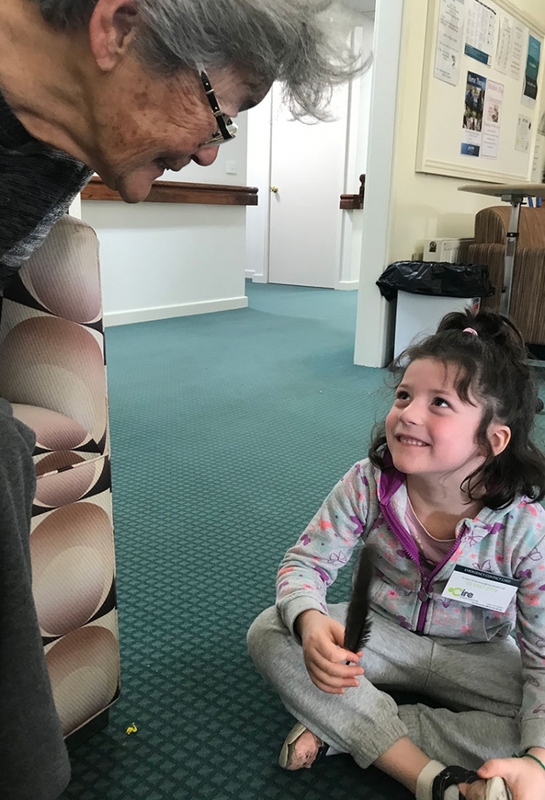 If you would like to know more about Cire Children’s Services click here or call 5967 2776 (Yarra Junction) or 9736 1918 (Mt Evelyn).